Win a wedding in Cheshire! The Courthouse is offering one very lucky couple the once-in-a-lifetime opportunity to win an all-expenses paid wedding. The exclusive wedding venue launched the competition, worth more than £12,000, at its Wedding Fair on Sunday 10 February. Located in the picturesque Cheshire town of Knutsford, The Courthouse is a stunning Grade II listed building, designed by famous architect, George Moneypenny. The former home of Knutsford Crown Court, The Courthouse was built in 1818. The eye-catching property has been sensitively restored by local owners, Flat Cap Hotels, retaining many of its original features. The building’s ornate ceilings, huge feature windows and beautiful glass dome centrepiece make the perfect backdrop for a unique and memorable wedding. 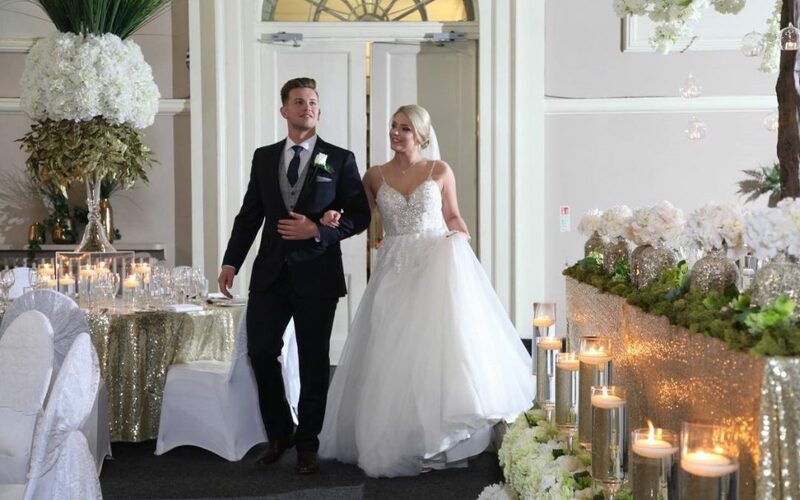 The Courthouse Wedding Fair took place in the magnificent Court Room and featured an array of local suppliers, including co-sponsor, Butterfly Events. A family-run business based in Cheshire, Butterfly Events specialises in venue dressing and event decoration and will be providing 10 gorgeous blossom trees as part of the prize. As well as room hire of the Court Room, Moneypenny Suite (and Barristers Restaurant during turnaround), this fabulous prize includes a dance floor, bar extension and Prosecco for 40 people. A sumptuous wedding breakfast for 40 people and a light bites meal later on in the day are also provided in the package as are two luxury double bedrooms and the hotel’s exclusive bridal suite. Photography from 30 minutes before the ceremony up until the start of the wedding breakfast, a wedding cake up to the value of £200, video coverage of the marriage itself and bridal hair and make-up are also provided. Couples can enter the competition numerous times and the winning wedding must be taken between January to March 2020 and 2021, subject to availability. Those hoping to win this unmissable prize can enter online at weddings.flatcaphotels.com. Couples that have already booked a wedding at The Courthouse are also eligible. The competition closes on 10 April 2019 and the lucky winners will be notified on the same day by email. The Courthouse is part of Flat Cap Hotels, a family run hotel group, founded by brothers Oliver and Dominic Heywood in 2015. The Courthouse is located in Knutsford, Cheshire and launched in June 2017. The property opened with Barristers Restaurant and Bar serving inventive dining, creative cocktails and afternoon tea. Three bedrooms launched in 2018, with a further eight bedrooms set to launch in late spring 2019. The Courthouse is ideally located opposite the town’s beautiful St John’s Church and a short walk to Knutsford Methodist Church and Brook Street Chapel. Both The Moneypenny Suite and The Court Room are licensed for civil ceremonies. The quirky yet intimate Moneypenny Suite can hold between 10-80 guests, while the grand Court Room can hold up to 180 guests.